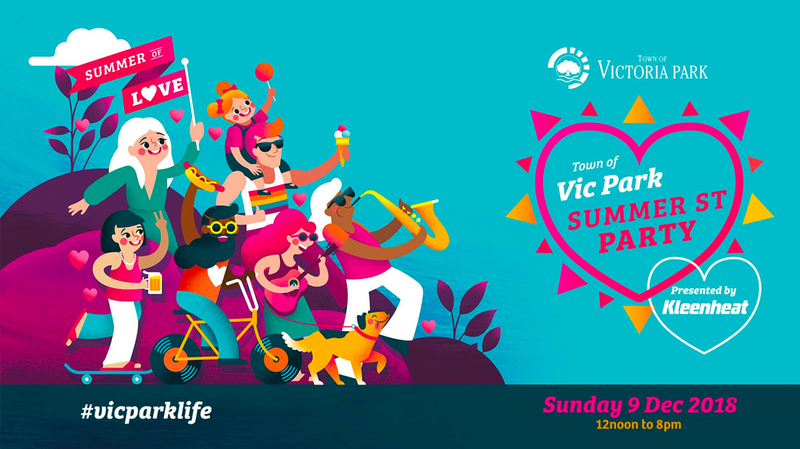 From 12pm to 8pm this Sunday, December 9 the Albany Hwy café strip will be transformed by the Town of Vic Park Summer Street Party. 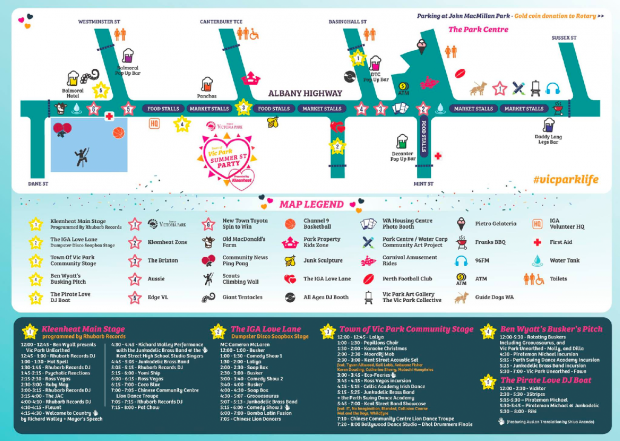 It promises to present a range of food, fun, music and attractions to suit all ages and tastes. A crowd of 50,000 people is expected to take over the strip between Dane and Sussex Street, right up to the Park Centre in East Victoria Park. The day boasts of a wide range of entertainment, celebrating the cultural diversity of the area. One of the main draws will be music, with three stages, a buskers area and a Pirate DJ boat providing just about every conceivable musical taste. From jazz to indie rock, Bollywood to brass, the day promises to cover a wide range until local legends Pat Chow close out the proceedings at the Kleenheat Main Stage near Rhubarb Records. The Vic Park Summer Street Party will take place this Sunday, December 9 between 12pm and 8pm. Check the Vic Park Collective website or the Vic Park Summer Street Party Facebook page for details.